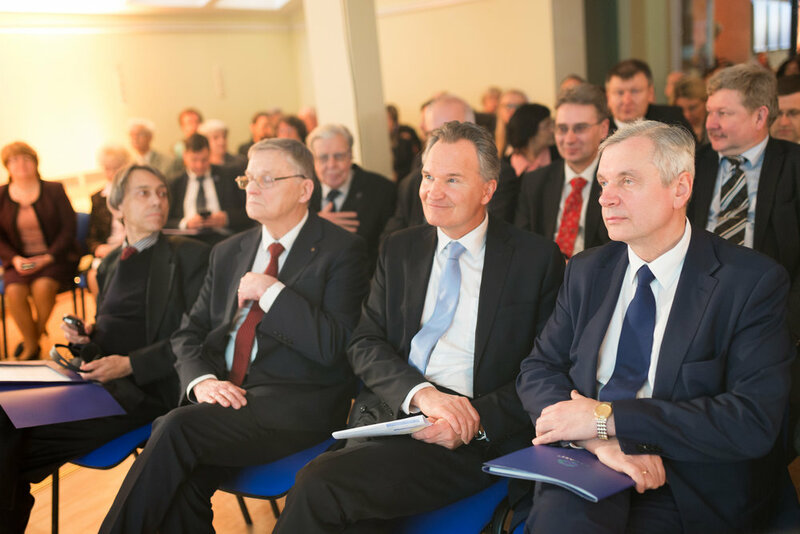 The biggest project in the history of Latvian science to date, CAMART², has been launched in a collegial and constructive atmosphere at a ceremony attended by representatives of the European Commission, Latvian government officials, foreign cooperation partners and guests, as well as the orchestrators of the project, i.e. the employees of the Institute of Solid State Physics. The objective of the project is to strengthen the position of both the institute and the Latvian State within the European science sector through the development of the centre into a regional institution of European renown in the field of materials science and technology transfer. “The only way how Europe can compete with the rest of the world is to be smarter than others and to prove itself in the field of innovation. This means that investments must be made in education, science and innovation development. Such investments must be made at national level, at regional level, and, of course, also at international level within the European Union. 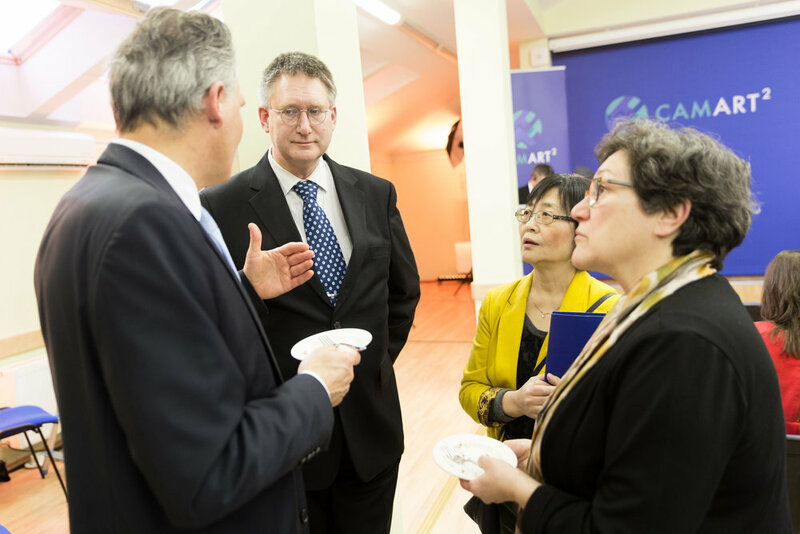 We are delighted to see that, in the face of stiff competition, this major project has been awarded not only Horizon 2020 funding, but has also received support from the Latvian government,” said Robert-Jan Smits, Director General of DG Research and Innovation - European Commission. 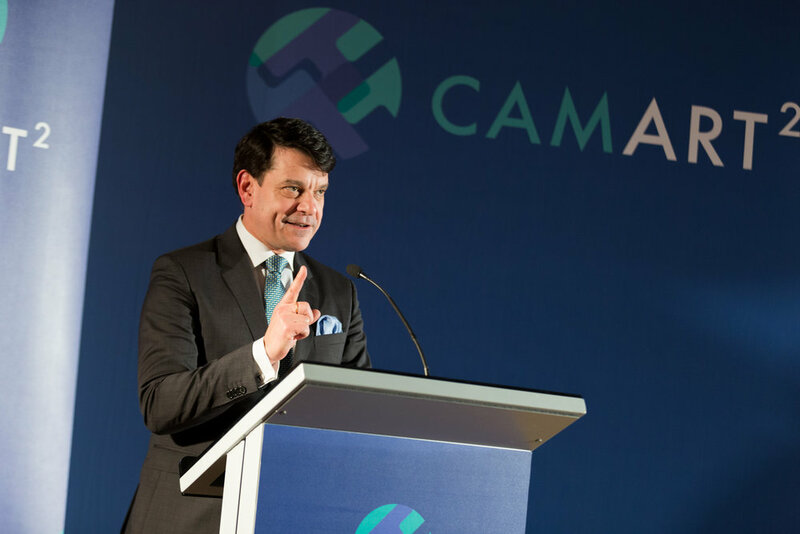 “The strengths of the CAMART² project are the high qualifications of the scientists involved and a strong plan for how to pass on this knowledge and experience, and how to encourage mutual collaboration between the academic and business sectors. This project has all the characteristics required to make it an exemplar: high level science, potential for innovation, the business sector, new enterprises, and powerful partnerships, as well as a convincing management structure, which is absolutely vital for a project of this scale,” stressedRobert-Jan Smits. “The launch of the biggest international science project to date once again clearly attests to the high competence of our scientists, which is recognised globally. 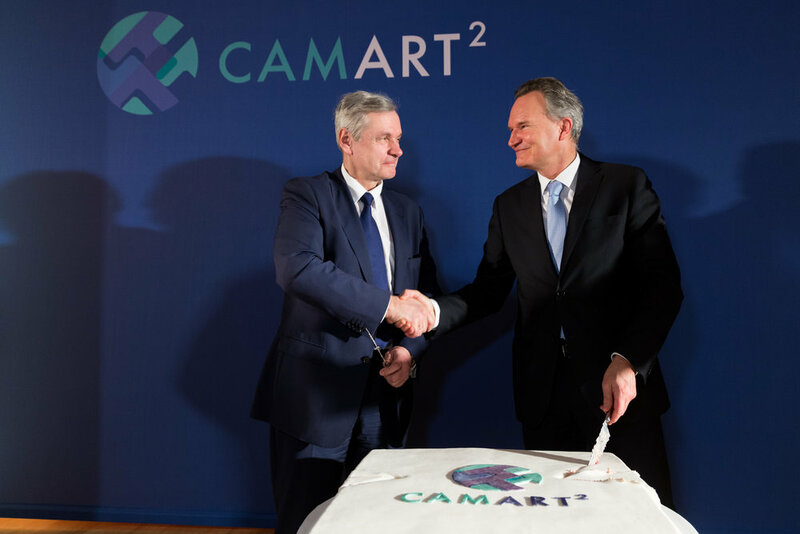 Through CAMART², an international science project with a very high potential for discoveries, Latvia is becoming a Baltic Silicon Valley. Many preconditions have already been met in order for significant changes to be achieved in the field of new discoveries dictated by the modern world by unlocking the creative potential of Latvia’s talented scientists,” emphasised Kārlis Šadurskis, Minister for Education and Science. “This project will facilitate the progression of the Institute of Solid State Physics towards excellence. Whereas, to date, we have progressed along roads of local importance; now, thanks to the support of the Europe’s biggest science support programme and the Latvian government, we will have to start accelerating towards excellence along European highways. 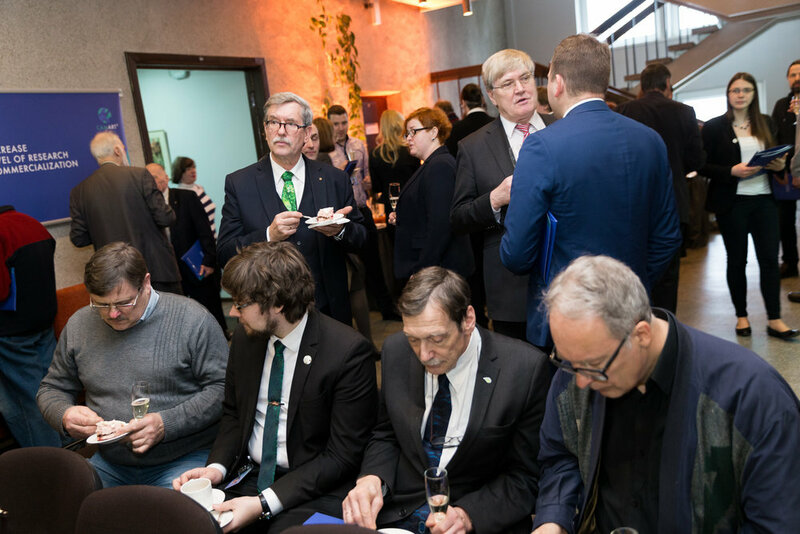 Moving along in this fast lane will enable us to reach the institute’s desired destination: the community of leading European and global research institutions,” explained Mārtiņš Rutkis, Director of the Institute of Solid State Physics and Head of the CAMART² project Mārtiņš Rutkis. The project is being conducted in collaboration with Swedish partners: the KTH Royal Institute of Technology and RISE Acreo, which are experts of global standing in the realm of innovation and technology transfer. 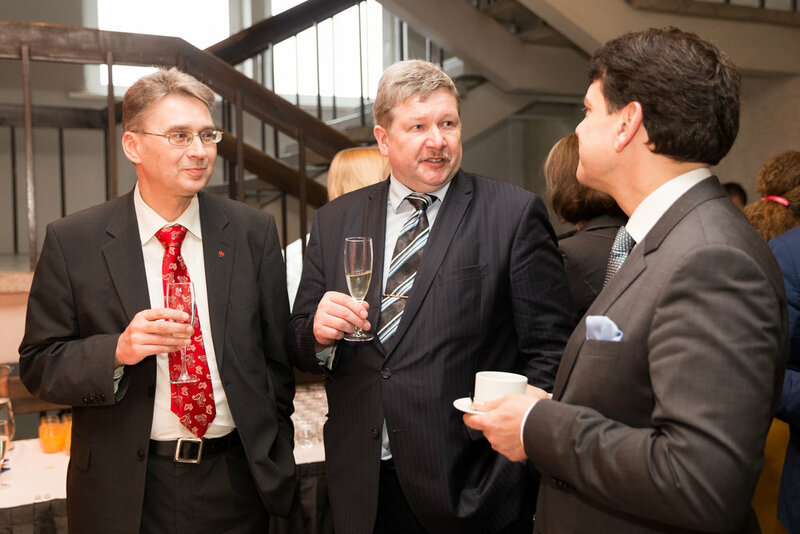 It is hoped that this collaboration with its Swedish colleagues will foster the development of the University of Latvia’s Institute of Solid State Physics Centre of Excellence into a major materials science centre within Latvia and the Baltic Sea region with a high commercialisation capacity and the capability to operate effectively in the international research and innovation market. The project will facilitate the formation of a more comprehensive innovation and technology transfer ecosystem in the realm of research into modern materials and the use of such materials in innovative products, thus paving the way for the launch of new advanced technology and high added value manufacturing companies. The European Commission has allocated EUR 15 million in funding to support the development of the Institute of Solid State Physics Centre of Excellence. This funding is intended to cover all costs related to the institutional upgrading of the centre of excellence over a seven year period. In addition to this sum, the Latvian government plans to invest over EUR 16 million in upgrading the centre’s scientific infrastructure.